Very pleased with there work and customer service. 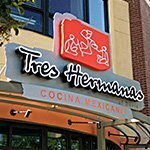 A high-quality outdoor sign is an essential component to the success of your business. Whether you are a startup that wants to increase brand awareness or an old-timer looking to increase customer flow, having professionally made outdoor signs is a sure-fire way of getting new customers through your doors and improving profitability in the long run. The outdoor signs you choose for your business serve to catch the eye of potential new customers, explain to them who you are and what you provide, and ultimately entice them to enter your business. 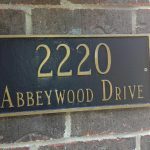 Creative Edge Signs and Graphics provides the outdoor signage you need to accomplish these goals! 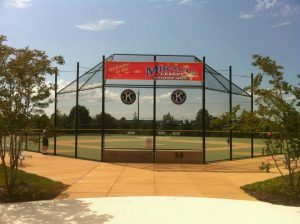 Call Creative Edge Signs and Graphics at (202) 793-8277 for your Free Consultation with an Outdoor Sign Expert! With so many outdoor signage options available, choosing the best one for your business can be confusing and overwhelming. 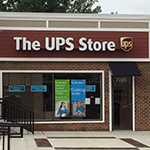 This is why it is important to work with a professional storefront signage company. 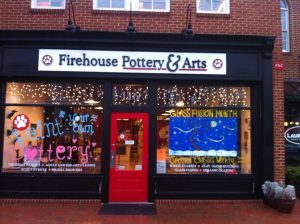 Creative Edge Signs and Graphics will get to know more about your goals and help you select the right storefront signs and building signs for your business. Whether you are looking for your primary building sign or supporting signage, we have many different options that allow us to create the perfect business signage for your needs and brand. Channel letters are an excellent choice for if you want maximum visibility. Channel letters can either be individually mounted on an existing surface or mounted to a raceway. 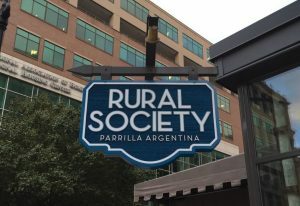 This outdoor signage option gives you a lot of flexibility because the letters can be manufactured in any color, font, and size you want, and can include text or images. Dimensional letters are similar to channel letters, except that they are constructed from a solid peice of acrylic. 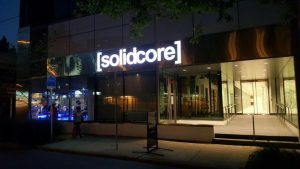 There are still many options, including backlighting, for dimensional lettering including material thickness, type, color, font, and more. We can help you determine what is the right choice based on your particular business needs and branding guidelines. 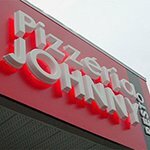 Many different business types utilize channel letters and dimensional letters to display their branding because of the versatility and flexibility of the medium, and shopping malls choose this type of signage. 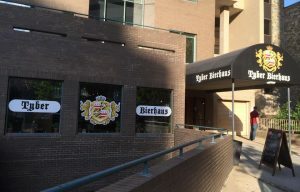 Lighted exterior signs illuminated with LED help to achieve visibility for your business at night and even from long distances. The brightness of the illuminated signs creates a strong statement and captures the attention of passersby and motorists at all hours and in all weather conditions. 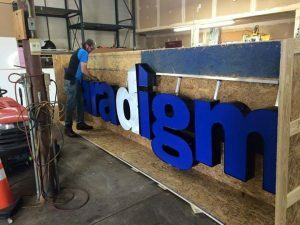 There are many different options for lighted signs, including cabinet signs, illuminated channel letters, or backlit dimensional letters, allowing you to get the right look for your brand. They are ideal for businesses that are open at night, such as 24-hour convenience stores, clubs, bars, and gas stations. 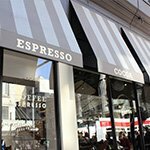 Canopies and awnings are great at protecting your storefront from direct sunlight, strong winds, and rain. 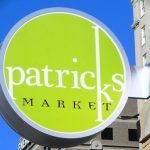 But aside from their functionality, did you know that they can also improve the curb appeal of your retail space and reinforce your branding identity? 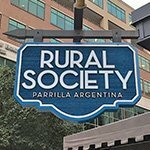 Creative Edge Signs and Graphics creates canopy and awning signage that adds character to your business and allows you to stand out from your neighbors. These signs are perfect for boutiques, salons, theaters, restaurants, hotels, jewelry stores, shopping centers, and other specialty shops. 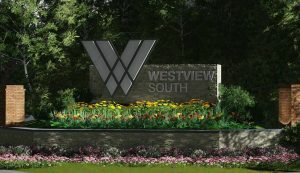 A monument sign is a freestanding sign installed separately from the building. 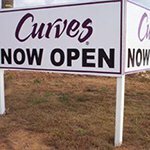 These substantial and impressive signs speak to the durability and longevity of your business, letting customers and clients know that you aren’t going anywhere. 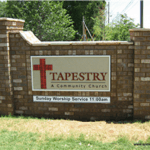 Monument signs can be made from brick, natural stone, concrete, and many other material options. The size, shape, material, and design are all completely customized to your unique desires. Creative Edge Signs and Graphics will create you a custom monument sign that is a true reflection of your business. These are common for schools, manufacturing plants, churches, private clubs, corporate offices, and resorts. Pole signs and pylon signs are structural signs that stand several feet tall and are usually installed near open roads, highways, and interstates. 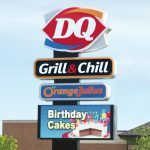 If the location of your business is near an exit, a pole sign would be your best option for attracting customers off the freeway. 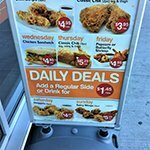 These signs are high-impact and high-visibility, making them idea for convenience shoppers looking for something at that moment, such as gas or food. 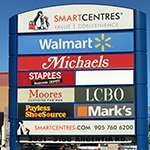 Pylon signs and tenant signs can also be utilized in shopping centers or business parks where multiple businesses may be located within a small area. 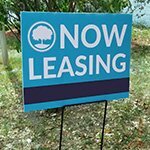 These shops may not have road frontage, so placing a tenant sign at the entrance allows customers to determine exactly what businesses they can expect to find inside. This increases the visibility of the businesses within, resulting in higher foot traffic and more sales. 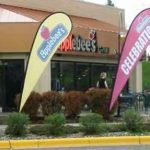 Pole signs are popular among fast food chains, gas stations, convenience stores, superstores, and motel chains. Creative Edge Signs and Graphics has the resources, skills, and equipment required to build you a highly engaging outdoor sign. Whether you need a single a-frame sign to stop customers in their tracks, or an entire collection of impactful marketing elements, we create the perfect signs for your business and brand. We assist you in promoting your business both on and off-site, allowing you to easily take your marketing wherever you go with yard signs, banners, and vehicle wraps. Whatever your needs, Creative Edge Signs and Graphics is here for you. In addition to our outdoor sign options, we also outfit businesses with cohesive indoor signs, vinyl signs, and can even provide vehicle wraps for the ultimate in brand visibility! 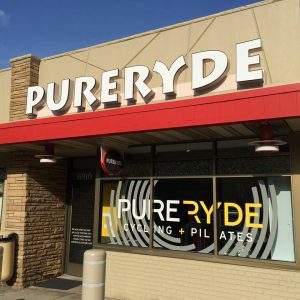 If you want to have attractive outdoor signage built for your business, Creative Edge Signs and Graphics is a trusted sign company for small and large businesses in Washington, DC. We are your one-stop destination for all your outdoor signage needs. 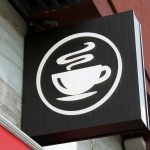 We create a wide range of outdoor signs such as storefront signs, sidewalk signs, and real estate signs. We offer complete exterior signage design services, so you can have outdoor signs custom-built by our in-house team of talented graphic designers even if you don’t have a print-ready file created. 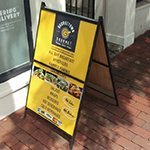 As a full-service sign company, we provide a wide range of exterior signs for businesses in DC by offering consultation, design, fabrication, and installation services. We also offer sign maintenance and repair services for existing exterior signs. If it has to do with outdoor signage and you need assistance, then Creative Edge Signs and Graphics is the right partner for you! 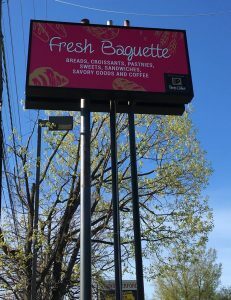 Outdoor signs are the #1 way that new customers learn about your business, so having high-quality, attractive signage in place that speaks to your brand and excites your customers is paramount to your success. Creative Edge Signs and Graphics is your local exterior signage partner, creating the right signs for your business both indoor and out.